Maybe you are a 1 income family and could use a little supplement to your income. Maybe you are looking to become more self-sufficient and create your own business and career and stop working for someone else. When it comes to making money on your own from your homestead all it takes is a little creativity. There are numerous ways- from products to services-to create an extra income stream! 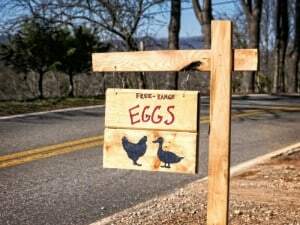 Sell your chickens’ farm fresh eggs. We get $3.50 a dozen here in WNC…you can charge more or less depending on your area. If you have a rooster, why not sell a few fertilized eggs for hatching! Got old chickens? Sell them as stewing hens! Raise chickens to laying age and sell them as layers. Sell the babies! Kids, lambs, calves, chicks. Become a breeder of whatever animals you happen to raise! Raise and sell meat animals– rabbit, goat, cow, pig. If you raise meat animals for your self, raise a few extra-some for your freezer and a couple to sell. If you raise sheep, angora goats, alpaca, etc you can sell raw fiber after shearing. Plant extra in your garden and sell fresh produce at the local market or direct from home. 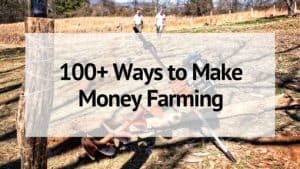 This is one of the easiest ways to make extra money from your farm or homestead. Start extra seeds in the spring and sell garden transplants for those who don’t start their own. Collect heirloom seeds at the end of the season, package them up, and sell. Sell dried herbs for use in things such as teas or salves. Beekeeping is a satisfying pastime and you can sell honey and other byproducts such as beeswax. Grow mushroom logs and sell homegrown mushrooms. This can be a big business, especially if you can market your product to local restaurants. Raise worms to sell for composting or bait. Raise fish, such as tilapia or catfish. You can do this in a large indoor tank or greenhouse or in a pond if you have one. Start a CSA. Plant more in your garden and offer a few CSA shares to your community. Begin a Farm School or offer how-to type classes. Chickens 101? Soap Making? Making Cheese? Whatever you are knowledgeable and passionate about! Open up a u-pick farm– plant a field of pumpkins, strawberries or a large u-pick garden. Open up a home-based bakery* and offer catering services for special occasions. Offer up stud services. 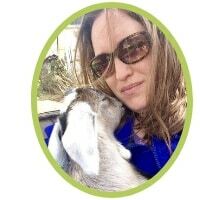 Many people who raise animals such as goats, don’t want to keep a buck on hand and are looking for a male to provide stud service. If you have a large home or land consider opening up a Bed and Breakfast and give your guests the farm experience! If you have the room, open up a corn maze in the fall. Agritourism is big business! 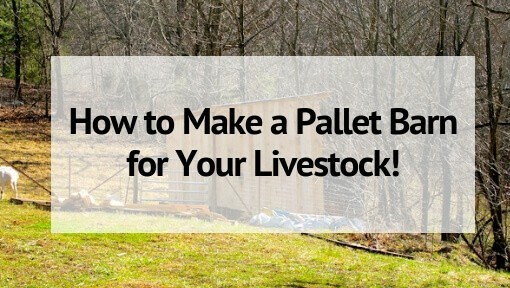 Learn more about the number one way we make money from our homestead! Make homemade soap. Goat’s milk soap is particularly popular. Spin yarn from your fiber animals- lots of people who knit or crochet don’t spin their own yarn. The further you process your product the more customers you can reach. Knit, crochet or felt your fiber into finished products. Lots of yard birds have beautiful feathers. If you have peafowl, guineas or even chickens try making feather jewelry or selling the feathers themselves. Bonus #33– Write about it! Start a blog or submit article to sites like HubPages. I currently earn a solid part time income here on The Free Range Life writing about homesteading! Check out A Modern Homestead’s How to Make Money Blogging at Any Level to learn how! It’s a great book that will teach you how to earn an income no matter what level of blogging you are at! * Check your local state/county laws concerning home-based bakeries before selling food items as well as check to see if you need any other applicable licenses or permits. I love the raising worms idea for the kids! I could see them doing that to earn some extra money! What do you do once you raise worms? Where do you sell them? Who buys them? What a fab idea for a post! I have been itching for ideas to generate some extra income & I love that you includes ways kids can be involved! Great ideas! Running a bed and breakfast would be a lot of work, but could be so worth it. Great Information! We have a fiber farm of cashgora goats, alpacas, llamas, jacob sheep and highland cows. We make and sell wool roving, bats, and rollogs for spinning and felting, we make yarns, felted items, My wife also knits. We do seminars also. If you are interested in learning about any of this please feel free to contact us. 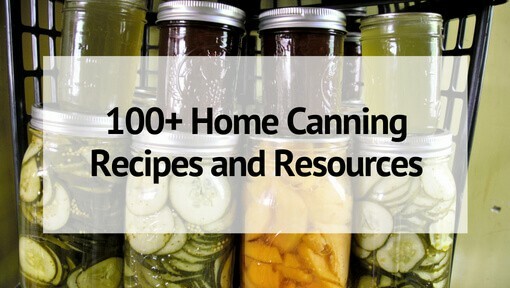 Homesteading can be a job in itself so you might as well get paid for what you love doing! Another way is to set up an area to offer as a wedding venue. You could also rent out a portion of your property to be a solar farm or wind farm. Renting it would be easier, that way the repairs would not fall on your shoulders…. Capitalize on any road frontage you have by renting the space out or using it yourself for a farm stand, consignment used car/farm equipment lot, or mini-storage business. Do you have any information on raising fish in a large indoor tank? I love these kinds of websites. I just wish we had some land so I could do some of these things. I’ll share the site, though, with my friends who do have land. This would be so worth the effort!! These are sound suggestions. As we work at building our homestead out here in the boonies, monetization is always there at the back of our minds. For living in the boonies, we actually live right on a major US highway. This means lots of traffic, which in turn means lots of potential consumers keen on buying home-made goods. Thanks for a rather comprehensive list! This is a great list, which I am pinning and sharing. I’m also happy to have found your blog. Your posts are excellent, and the blog itself is beautiful. Very inspiring! This is a great list. We are looking into the CSA aspect for next year. I’ve thought about the wedding venue option, but I LOVE my privacy. It’s a good money-maker, though. Great ideas! Just make sure you’re legal! Many of these require certification, Inspection, and for certain laws and regulations to be stricly followed! You don’t make money if you get fined! That’s kind of what I was thinking. Here in AZ, you can’t do much legally without paying for the privilege of doing it through permits, etc. Thank you for the info. I appreciate that you have gone beyond the obvious produce and hand adds and given some very unique ideas. Felting is something that I see coming up more and more and would like to learn more about. Thanks again! I am in ground work of the plans to relocating to another state out West. Will be of all the assistance to beginning stages. Anyone thinking about making food, decorating cakes, etc. in a residential kitchen needs to check their state’s Cottage Food Laws because some states don’t allow that. If your state does not have Cottage Food Laws then it is illegal to sell food made in a residential kitchen except in certain cases. Also contact your city health department and/or extension office. They will both have some very helpful input on this subject. It is fiber (from goats, sheep, alpaca, etc) that have already been cleaned and combed.